If you are a farmland bird – such as a Turtle Dove or a Song Thrush, looking to protect your nest from predators and other disturbance – where should you nest? If you have any sense you will be looking for a dense patch of protective scrub or a large hedge (slightly more organised scrub) safe from dangerous raptor talons or avaricious eyes. Unfortunately this type of vegetation containing older stands of Hawthorn and Blackthorn is becoming increasingly rare in the countryside due to creeping development, agricultural intensification and ‘tidying up’. Scrub can often be assumed to be a problem which needs to be removed. It has been an undervalued habitat in many conservation schemes over the years with other more showy habitats taking precedent. The North Yorkshire Turtle Dove Project is wanting to improve the appreciation of this fantastic habitat. Scrub is very important for Turtle Doves. Their delicate nests are often built within 2 metres of the ground in a dense tangle of thorns and twigs. They need this structure to reach the ground to feed. Stock grazing under such a habitat can remove any value to many birds such as Turtle Doves. In the winter scrub is a fantastic habitat for roosting birds such as Long-eared Owls. These magnificent birds are also looking for protection from disturbance and somewhere to have a daytime nap. 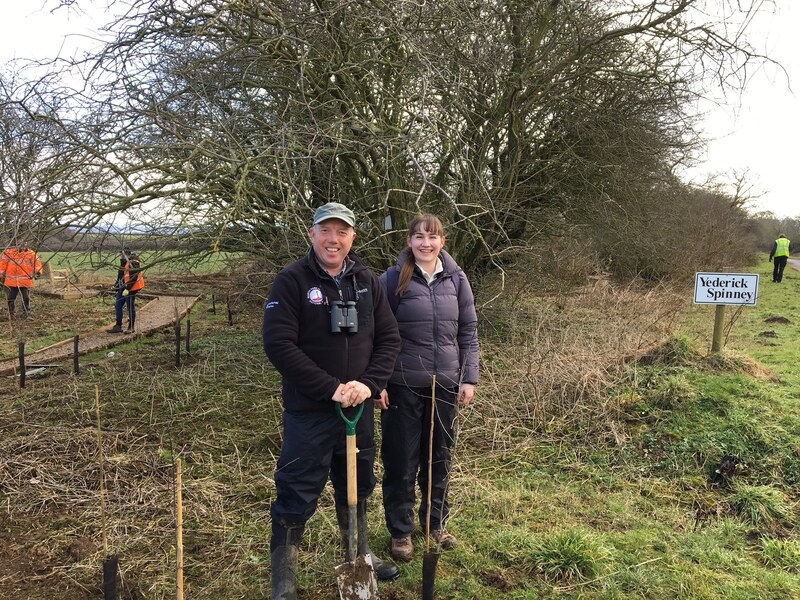 Last week we started work on our first community reserve for Turtle Doves at Sawdon near Scarborough. We were out with the Sawdon Community Nature Reserve Group and a very hard working Community Payback team. We planted a mixture of Hawthorn, Blackthorn and Hazel to create a thicket of scrub for the future. Luckily the planting day was sunny and warm with many birds singing in the trees around us. 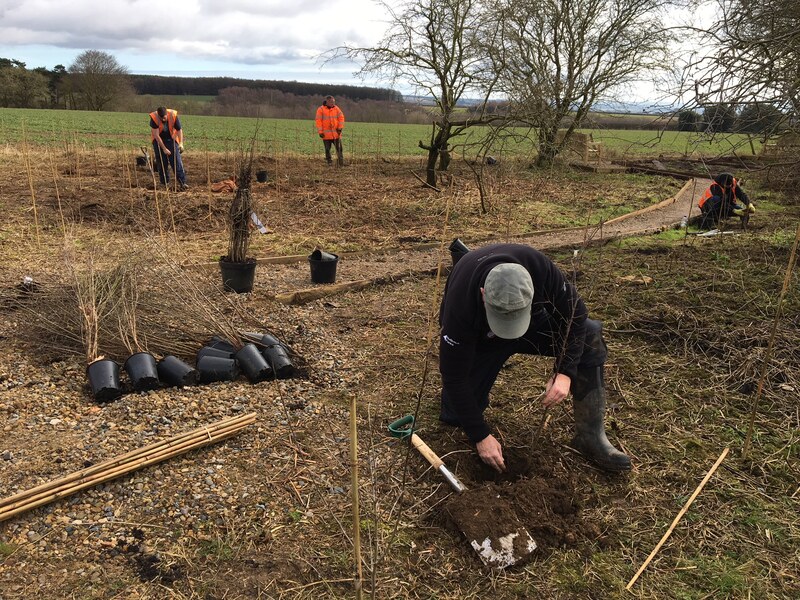 Amongst the appreciative audience were Song Thrush, Tree Sparrow and Yellowhammers who will all be able to benefit from the effort made to increase their local nesting habitat. Future plans for this site include pond restoration and a Turtle Dove flower meadow. This entry was posted in Biodiversity, Conservation, Ecology, Environment, Local Community, National Park, Natural Environment, Natural Heritage, North York Moors and tagged Birds, Habitat, Heritage Lottery Fund, North Yorkshire Turtle Dove Project, Turtle Doves by North York Moors National Park. Bookmark the permalink.